Find Summerlin, NV Homes for sale. View Photos, Maps and MLS Data Now! Miraleste At Summerlin - Formal liv/din areas & resort style backyard with B/I BBQ. MLS#2088410. Realty ONE Group, Inc.
Chardonnay Summerlin - Back yard oasis with a covered patio and a relaxing pool/spa. It's a must see! MLS#2089917. Realty ONE Group, Inc.
Summerlin Village - Fabulous Property W/ Curb Appeal, Gated Courtyard, Cascading Water Feature In Fully Fenced Rear, Cultured Stone Facade, Approx 2174/Sf, 4 Bed W/ 1 Down, 3 Bath, Great Rm & Living Rm Down & Family Rm/Loft Up, Kitchen Cherry Cabs, Granite Counters, Stainless Gas Range/Microwave/Dishwasher, Laundry Rm, Fans W/ Lights, Travertine Marble/Carpet/Cherry Wood Flooring, Faux Sod, Cov Patio, 2 Car Garage, See Community Pool From Master, Plus Much More! MLS#2089933. Award Realty. Summerlin Village - What truly sets this home apart is the incredible exterior features including a resort style pool & spa, outdoor custom lighted pergola, a Mario Acunto pizza oven (imported from Italy), tandoori oven & grill. MLS#2089860. Simply Vegas. Country Gardens At Summerlin - Too much to list! This home won't last! MLS#2089886. Realty ONE Group, Inc.
Summerlin Village - Indoor basketball court, home theater, golf simulator, plasma entertainment wall, elevator, gourmet kitchen, wine cellar & observation deck. MLS#2089662. Unique Properties. Half Acres - So many upgrades; slate and marble flooring, granite counter tops, chef gourmet kitchen with walk in wine cellar capacity of 1000+ bottles. MLS#2089733. eXp Realty. Cara Vella At Summerlin Vistas - Pulte 1-story Community W/ Exceptional Schools MLS#2089595. Realty ONE Group, Inc.
Willow Tree - Upgrades include: Brazilian Cherry Wood flooring, Thomasville cabinetry throughout, Smart Water Filtration, and much, much MORE! MLS#2089797. Vision Realty Group. Miramonte At Summerlin - PARKS galore! YOU'LL LOVE LIVING HERE! MLS#2088963. Top Tier Realty. Magnolia At Summerlin - End of block cul-de-sac perfect for bikes and street hockey. Community Park. MLS#2088752. BHHS Nevada Properties. 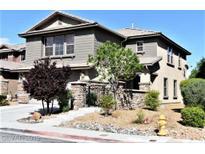 Portofino West Summerlin - It shows seller had tons of OWNER'S PRIDE, was not a rental. MLS#2087250. Vice Realty. Copper Ridge At The Hills - This home is a must see! MLS#2089451. Keller Williams Realty Las Vegas. Easy Access To Clubhouse And Golf Course. MLS#2087204. Addicted Realty LLC. Rosewood - Spacious Floorplan Offers3 Bedroom/2.5 Baths, Open Living Room. MLS#2089773. RE/MAX Advantage. Red Rock Country Club - Lg Master w/retreat, his/ her cedar closets, 2 balcony’s w/ stunning views.All secondary beds w/ en-suite baths Priv courtyd with casita. 4cargar w 2w/ac MLS#2089740. BHHS Nevada Properties. Red Rock Country Club - Private courtyard entry. Recent upgrades and updating MLS#2089453. Award Realty. Summerlin Village - With 5 bedrooms and 4.5 baths, this floor plan offers flexibility for a variety of living situations. MLS#2089412. Vegas Dream Homes Inc.
Sun City Summerlin - Shatterproof and energy efficient windows. Coated concrete driveway and patio. MLS#2088293. Keller Williams Southern Nevada. Summerlin Village - It will not last very long. MLS#2089206. I15 Realty. Sun City Summerlin - City Views from the Front and Rear Yard. MLS#2089394. BHHS Nevada Properties. Summerlin Village - *This two story home is surrounded by single story homes for amazing privacy*come see this home today! ! MLS#2086925. RE/MAX CENTRAL. Westpark Summerlin Village - *This LEED Certified home has all the bells and whistles you could be looking for*Kitchen boasts stainless steel appliances, upgraded granite & custom cabinets*With this home located in Summerlin Centre, you are walking distance to Downtown Summerlin, which includes great restaurants and shopping, not to mention the new LV Ballpark*This home has been meticulously cared for! ! MLS#2086924. RE/MAX CENTRAL. Chardonnay Summerlin - Come see this beautiful home. It has true owner pride! MLS#2089212. Realty ONE Group, Inc.
Aspenglen In The Crossing - Close to good schools, dining, shopping, Downtown Summerlin & the Las Vegas Ballpark MLS#2089425. Executive Realty Services. These statistics are updated daily from the Greater Las Vegas Association of Realtors Multiple Listing Service. For further analysis or to obtain statistics not shown below please call EasyStreet Realty at 702-406-2382 and speak with one of our real estate consultants.